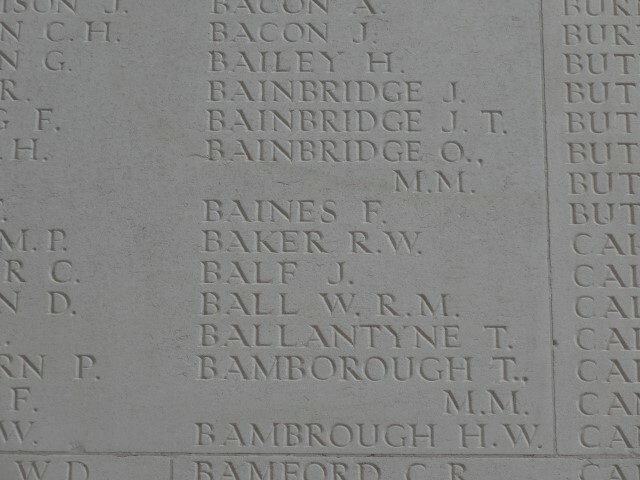 3101 Private Richard William Baker, 1/6th Battalion, Durham Light Infantry was killed in action 1 October 1916. He was 33 years old and has no known grave and is commemorated on the Thiepval Memorial and memorial plaque on the St. Helens Colliery Memorial Cottages, Maude Terrace, St. Helen’s Auckland, Bishop Auckland. Richard worked as a coal miner [hewer]. The following section will examine the possible circumstances surrounding his death – in the same action, Privates J.C. Lee, J. Holliday, R.W. Wallace from Cockfield, Private J.A. 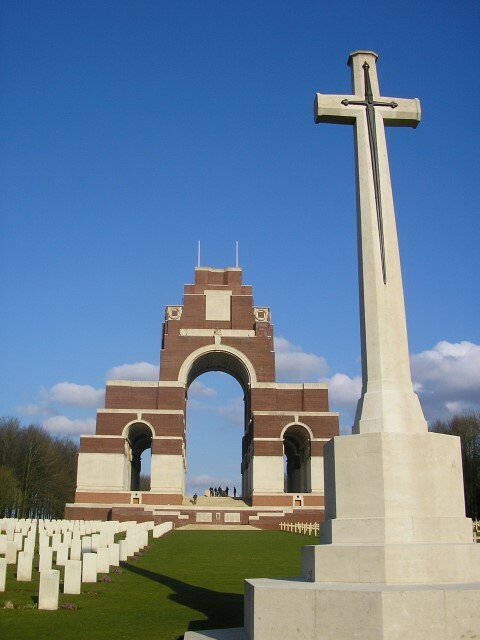 Wardle from Lands and Lance Corporal C. Lowther from Butterknowle were also killed. Private F.M. Britton from Evenwood [later Cockfield] and Private O. Rushford from Wind Mill were awarded the Military Medal and his commanding officer Lieut.-Col. R. B. Bradford, the Victoria Cross. The following accounts provide an overview and some details of events. The preliminary bombardment commenced at 7.00am and continued till zero hour (3.15pm) when it changed to a barrage. Unfortunately, there were some casualties from shells falling short, the total casualties for the day being about 40, including the Commanding Officer wounded. Lieut.-Col. R. B. Bradford, now commanding the 9th Battalion, asked for and was given permission to take command of the 2 Battalions and for his subsequent work that day was awarded the V. C. He arrived at Battalion H.Q. at zero and at once went up to the front line. “Somme 1916 Oct.1 At 1am summer time altered back to normal by putting clock back 1 hour, this is to 12 midnight. 2/Lieut Yaldwyn (Sniping Officer) attached to Y Company for duty. Commanding Officer saw all Company Commanders at 3am to talk over details of the attack. Completed jumping off trenches about dawn and occupied them in battle order by 6am. 60 men (draft and details) brought up from the Transport Lines to act as Carrying Party for the battalion. Artillery bombardment of German trenches from 7am to 3.15pm. 2Lieut. Yaldwyn wounded about noon. The Commanding Officer Major Wilkinson wounded about 1.30pm. Lt. Colonel Bradford of the 9th Durham L.I. took over command of the Battalion for the period of the operations. Private R.W. Baker was awarded the 1914-15 Star, the British War and Victory medals. The First World War took a terrible toll on the D.L.I. with more than 12,600 dead and thousands wounded. The Regiment was such a part of county life that there was hardly a family that hadn’t suffered. In 1922, the Regiment’s officers and the Cathedral Chapter resolved to create a memorial chapel in the south transept. The Bishop of Durham, Hensley Henson dedicated the Chapel 20 October 1923. John Edward Brown-Humes [1888-1948], Bishop Auckland solicitor and later Coroner served as Lieutenant in the Labour Corps [T/F/ Res] until 14 March 1918 [Supplement to London Gazette 20 April 1918].